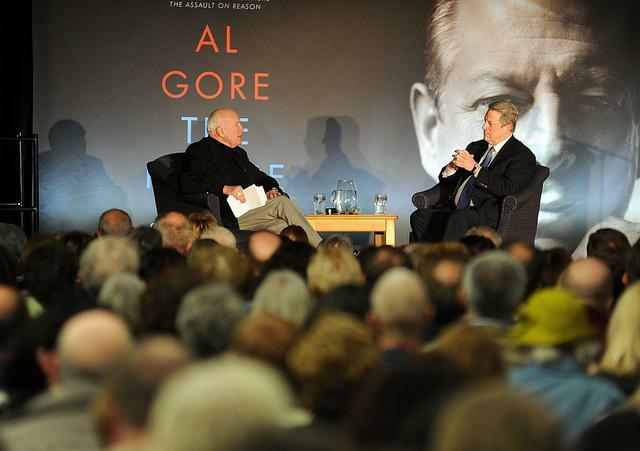 Former Vice-President Al Gore appeared at the St. Louis County Library on Saturday, February 9 to open the Buzz Westfall Great Authors Series. He spoke to a sell-out crowd of 800 about his new book, "The Future: Six Drivers of Global Change." Host Don Marsh introduced Gore and engaged in a discussion with him following the talk. This edition of “St. Louis on the Air” features highlights of Gore’s presentation as well as the conversation with Marsh. Topics include Gore’s rationale for the book, his latest take on climate change, his sale of Current TV to Al Jazeera, how he coped with the results of the 2000 election, the state of education in this country, his view on the growth of China and his thoughts on the future of St. Louis.